A prolific and versatile artist, Rosie excels in a variety of disciplines including botanical art, textiles, landscapes and figure drawing. She trained at St Martin's School of Art in London, gaining a first class Honours degree in Art and Design. She won a scholarship to Parsons School of Design in New York and was later awarded a travel scholarship to paint landscape in Europe. 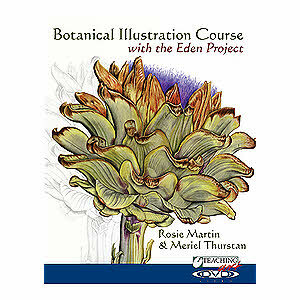 As a botanical artist, Rosie holds a Royal Horticultural Society (RHS) gold medal for botanical watercolour portraiture and was elected to the Society of Botanical Artists. She produces a limited number of plant portraits annually, most of which are commissioned or sold privately.